Institut nordique du Québec (INQ)’s founding partners have unveiled the first foundational elements of the Institute’s scientific program by simultaneously announcing three northern research chairs and introducing its newly recruited director of science and innovation, Louis Fortier. Representatives from INQ’s three founding universities made a joint announcement of funding for three research chairs supported by INQ, allocated to INRS, McGill University, and Université Laval—a historic first for northern research. The INQ is committed to sharing knowledge and working with Indigenous communities in order to foster sustainable development in the North. The three chairs under the INQ umbrella represent a broad spectrum of research ranging from renewable energy production and wildlife preservation to food security and sustainable development in the North. INRS will have the task of evaluating the North’s geothermic potential, with the goal of reducing CO2 emissions and countering climate change. “The creation of this chair reflects INRS’s desire to contribute technological and social innovations for the sustainable development of Northern Québec. Geothermal energy has a real future as a clean source of energy. The chair’s work will also be part of a program aimed at diversifying energy sources on northern development projects. The chairholder, Professor Jasmin Raymond, is an international hydrogeology expert. He will play a leadership role in expanding the program and training specialists,” said INRS interim rector Claude Arbour. ”Having access to clean, affordable energy north of the 49th parallel is essential to the development of northern indigenous communities and businesses, both for food security and mineral resource development. With geothermal energy, heat could be produced using local resources, reducing the need for fossil fuels,” said Jasmin Raymond. McGill University will further investigate how climate change impacts wildlife populations, a question closely tied to the study of traditional food security for indigenous populations. ”On behalf of McGill, I am very proud that one of our foremost wildlife biologists is joining the leadership of INQ’s unique collaboration between institutions and sectors for the betterment of northern wilderness and communities. Prof. Humphries’ research takes place at the intersection of economic development, environmental protection and cultural practice—a space where some of Canada’s most consequential and important policy decisions are made,” said Rosie Goldstein, Vice-Principal of Research and Innovation at McGill University. “I am grateful to l’Institut Nordique du Quebec for the opportunity to situate my research on wildlife biology and traditional food systems within the landscape of sustainable development. For the past decade I have been conducting research in Northern Quebec and Northern Canada, on wildlife, local food systems, and environmental change. INQ is an ideal partner for this research because of the opportunities it creates to connect northern research to community concerns and economic development,” added Murray M. Humphries. Université Laval will work toward sustainable Northern development with a view to informing the decisions of provincial and federal governments, municipalities, and the Cree, Naskapi, Innu, and Inuit. “Researcher Thierry Rodon will continue to share his extensive knowledge of the best practices required to respond to the imperatives of sustainable development in the North,” said Denis Brière, rector of Université Laval. INQ has also named Louis Fortier as director of science and innovation. Fortier is tasked with overseeing the implementation of INQ’s research strategy. As the founder of Québec-Océan, the scientific director of ArcticNet, an international oceanography expert and professor of biology at Université Laval, Louis Fortier brings a real depth of expertise to INQ. He is both the project leader aboard Canada’s research ice-breaker, Amundsen, and the scientific director of Takuvik, a joint international research unit. 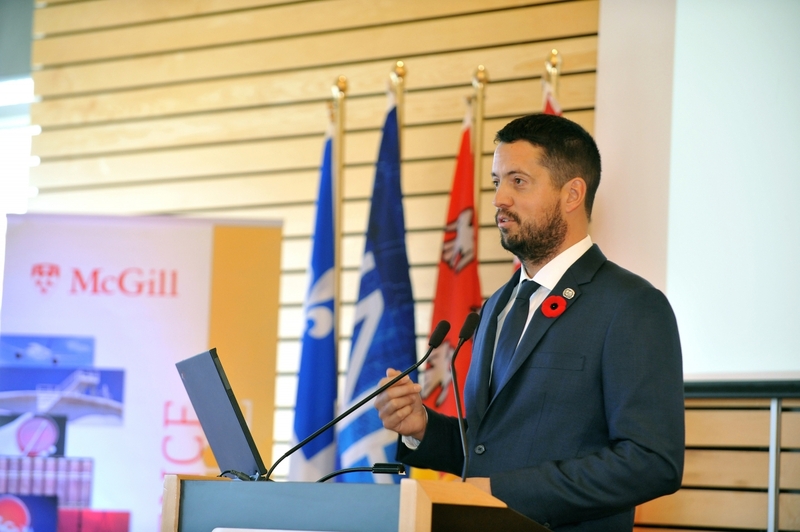 Having worked for several decades on northern research of all kinds, Fortier is uniquely positioned to bring into focus the high-level expertise of the many Québec researchers who have been investigating the North for more than half a century. “From Québec’s Plan Nord and the Premiers’ Vision of Research to Canada's Northern Strategy and the US-Canada Joint Statement on Climate, Energy and Arctic Leadership, the Institute’s mandate to support decision-making in the North is rapidly growing and being refined. The challenges are enormous, but the winds are favourable,” said Louis Fortier. The INQ vision reflects the partners’ desire and determination to develop a sustainable North on a foundation of knowledge. By focusing on integrating scientific knowledge with that of local communities, including Aboriginal knowledge, in partnership with the public and private sectors, INQ seeks to develop the Canadian Arctic and northern Québec for future generations, providing clean energy, healthy ecosystems, viable infrastructures, economic prosperity, vibrant cultures, and education and healthcare systems that meet their needs. INRS is a graduate-level research and training university and ranks first in Canada in its category for research intensity (average funding per professor). Its four centres in Montreal, Quebec City, Laval, and Varennes are home to 150 professors and nearly 700 students and postdoctoral fellows. Its basic research is essential to the advancement of science in Quebec and internationally, and its research teams play a key role in the development of concrete solutions to the problems faced by our society. Founded in Montreal, Quebec, in 1821, McGill is a leading Canadian post-secondary institution. It has two campuses, 11 faculties, 11 professional schools, 300 programs of study, and some 40,000 students, including more than 9,400 graduate students. McGill attracts students from over 150 countries around the world, its 10,900 international students making up 27% per cent of the student body. Over half of McGill students claim a first language other than English, including approximately 20% of our students who say French is their mother tongue. Université Laval, located in the world heritage city of Quebec, is the oldest French-language university in North America. It is one of Canada’s top research universities, ranking sixth with a research budget of over $325 million last year. Université Laval boasts over 9,370 employees, including 3,685 professors, lecturers, and other teaching and research staff, who share their knowledge with over 42,500 students, more than a quarter of whom are enrolled in graduate studies. In 2014, Université Laval earned STARS accreditation, ranking first in Canada and ninth worldwide for sustainable development. In 2015, it became Canada’s first voluntarily carbon neutral university. The university currently has over 277,000 alumni around the world.